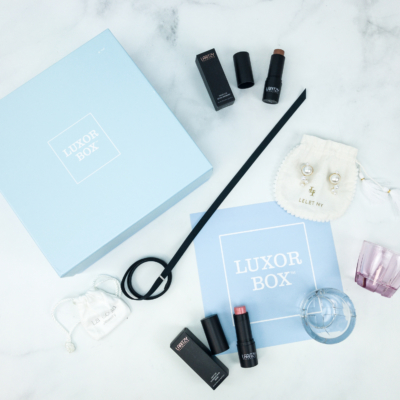 Luxor Box October 2017 Limited Edition Luxurious Travel Box + Spoilers! 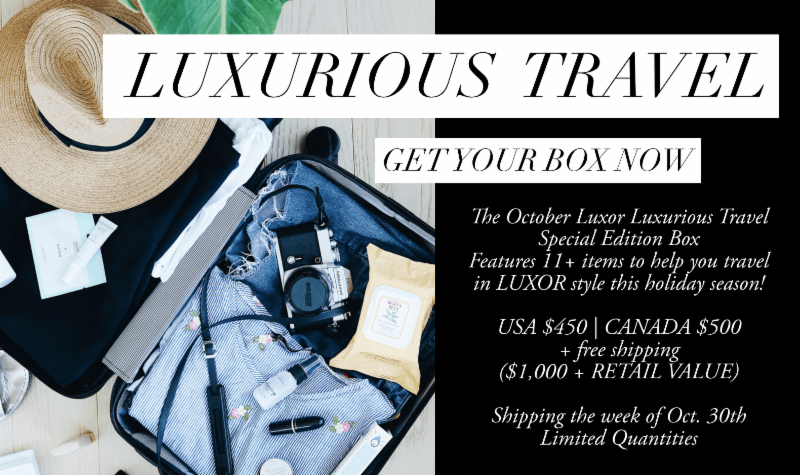 We have a Luxor Box spoiler for their October 2017 Special Edition “Luxurious Travel” Box! Each Special Edition box will have a total value of $800+. The box is available as a one-time purchase for $375. Travel in LUXOR style this holiday season. 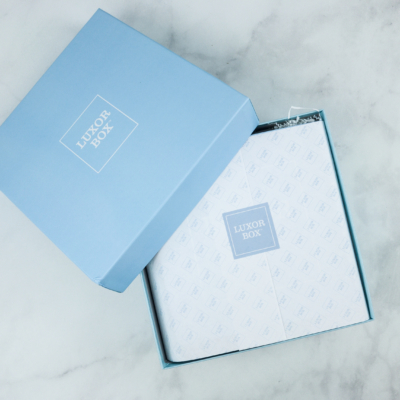 This box will be jam packed with 11+ luxurious items for ALL your travel needs. This box contains all NEW items – not repeat items from past boxes. 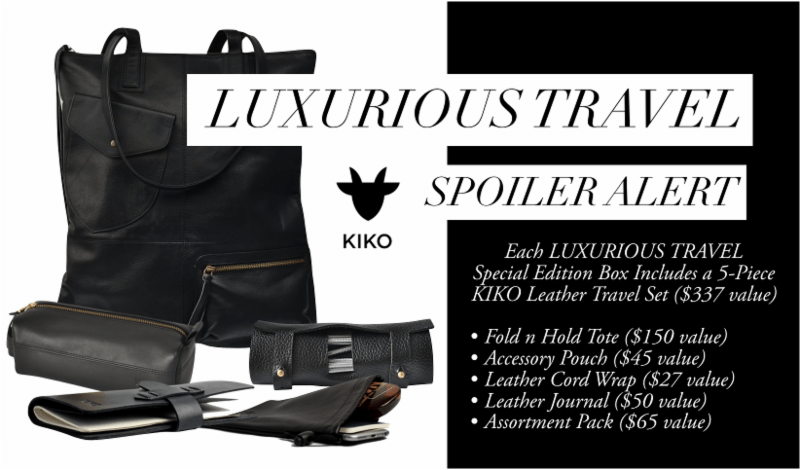 SPOILER-Each LUXURIOUS TRAVEL Special Edition Box will include the $337 KIKO 5-Piece Leather Travel Set of the Fold n Hold Tote ($150), Accessory Pouch ($45), Leather Cord Wrap($27), Leather Journal ($50) and the Assortment Pack ($65). 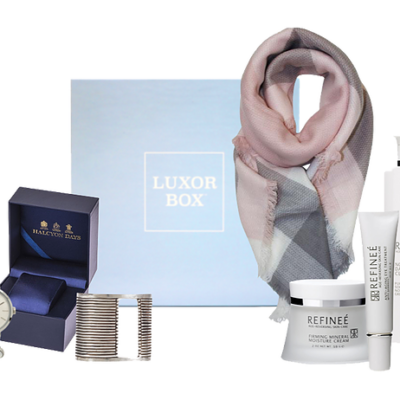 Our October Special Edition LUXURIOUS TRAVEL box will have a total box retail value of OVER $1,000. Free shipping and shipping the week of October 30th, 2017. Limited quantities and only available while supplies last. One time purchase, not a recurring subscription. BEFORE PURCHASING, PLEASE READ TERMS BELOW! *TERMS: One time charge of $450 USA or $500 CANADA (not a recurring subscription). The October Special Edition LUXURIOUS TRAVEL Box will have retail value of OVER $1000. You are pre-paying for this box and your box will ship out the week of October 30th, 2017. All sales are final. Due to the custom nature of this Special Edition box, we are not able to accept returns, refund, credit, exchange or transfer after the order has been made. Shipments cannot be returned and there are no full or prorated refunds. DISCLAIMER for Canada Orders: Duties and Taxes: Import duties, taxes, and brokerage fees are not included in the product price or our shipping and handling cost and it will be collected upon delivery from the carriers for certain packages. These charges are recipient’s responsibility. You may check with your country’s customs office to determine what these additional costs will be. BY PURCHASING FROM THIS SHOP, YOU AGREE TO THESE TERMS!